There is nothing that tops the frustration of dealing with acne. Not only are you very aware of the zits on your face, but it starts to become all you think about to the point where it deals out blows to your self-esteem. Which is why it is essential to load up your arsenal with ingredients that can help fight the problem as soon as it surfaces. 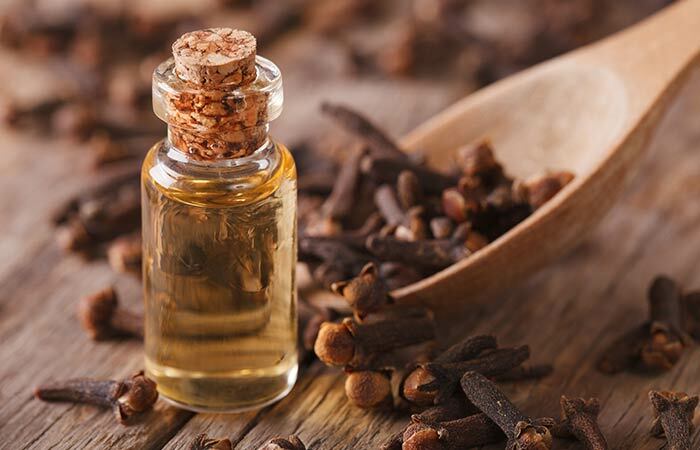 In this article, we’re going to explore hoe to use clove oil for acne treatment and the different ways you can use it to curb the zits. Keep reading to know more. 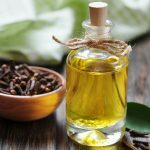 Is Clove Oil Effective Against Acne? Extracted from the aromatic flowers of the clove plant, clove essential oil is known for its robust antibacterial property. The tropical plant oil has a spicy, heavy aroma and a pale yellow hue. It has been found to be toxic to a wide range of bacteria, including the kind that causes acne. Its analgesic and antiseptic properties make the oil ideal for fighting skin infection and their resultant conditions like acne. The oil helps draw out skin impurities and also reduces the pain caused by cystic acne. A couple of drops of clove oil. Apply a drop of clove oil onto your zit. Wash your face with some water and an oil-free facial cleanser. 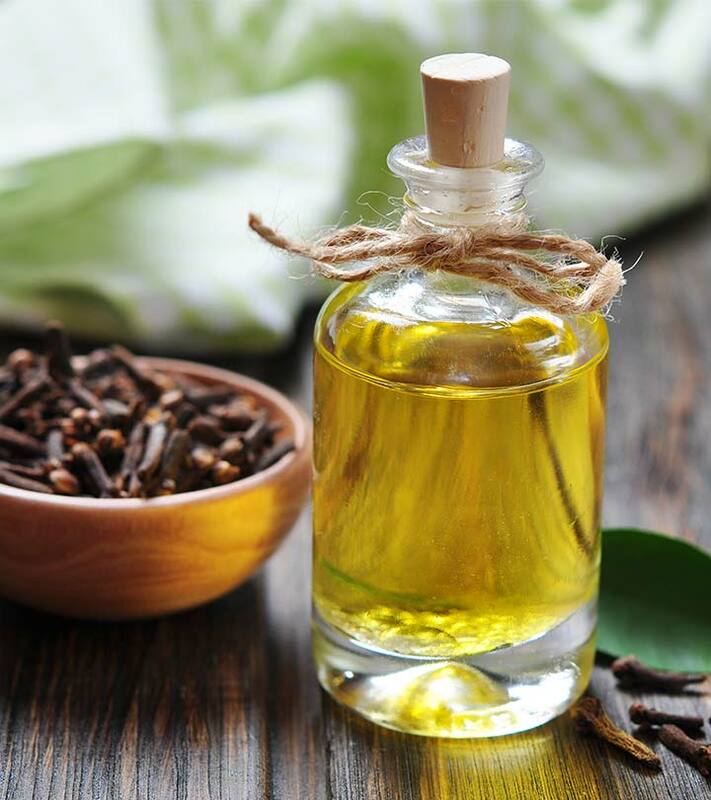 Clove oil is rich in antioxidants and helps kill any acne-causing bacteria that might be present on your skin. However, you must exercise caution while using this method as clove oil might be too strong for some. Steam your skin for 5 minutes to help relax your pores. Combine the oils to create a blend. Apply this oil blend onto your face and massage gently in circular motions. Continue to massage your face, focusing on the acne-prone areas, for about 10 minutes. Wash your face with an oil-free cleanser and pat dry. 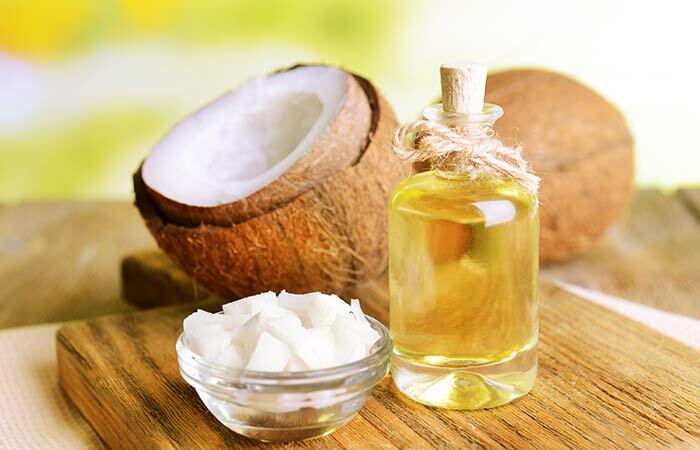 Coconut oil has strong antibacterial properties. It helps dissolve the dirt and oils that are clogging your pores while also nourishing and moisturizing your skin with its fatty acid content. In combination with clove oil, it penetrates your skin to kill any acne-causing bacteria that may be present. For this treatment, you need to ensure that you are using 100% pure olive oil as any other kind may end up worsening your acne problem. 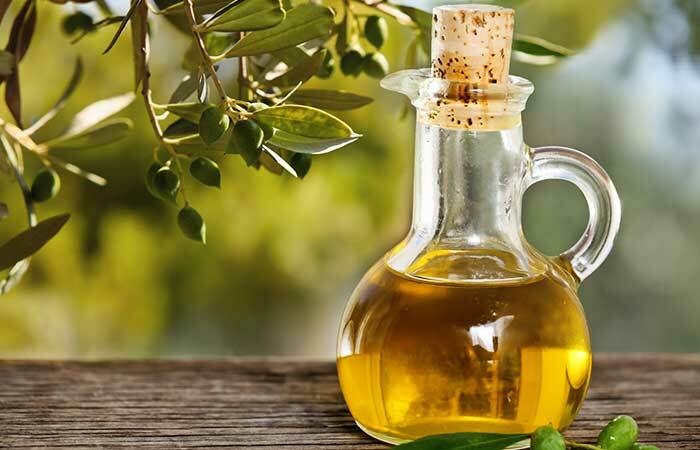 Olive oil boosts antibacterial activity, conditions your skin, and helps unclog pores. It also helps nourish your skin and boosts its overall health, fading scars and improving your complexion. 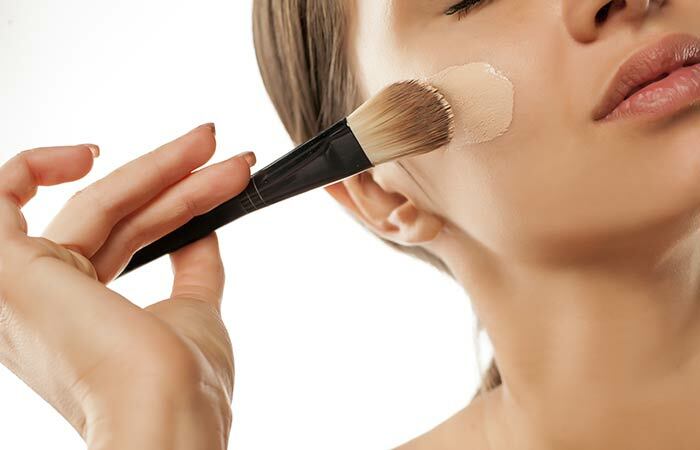 Dispense the regular amount of foundation that you need for your face onto your makeup applicator. To this, add one drop of clove oil. Apply your makeup as you normally would. Don’t forget to remove your makeup at the end of the day. Whenever you need to wear makeup. There are times when you cannot avoid wearing makeup and in such situations, clove oil helps treat your acne rather than make it worse. However, it is not a good idea to favor this method of using clove oil over the others. Wash your wash with an oil-free facial cleanser and water. Pat your skin dry and proceed to dispense a pea to coin-sized amount of moisturizer. To this, add the clove oil. Gently massage the moisturizer onto your face. This is one of the easiest ways to use clove oil for acne. Your moisturizer reinforces your skin’s moisture barrier. The clove oil helps disinfect your pores, heals acne, and prevent breakouts. Applying clove oil to fight and eliminate acne is a good idea, but you must be cautious. No matter what carrier oil you use, do not leave the clove oil mix on your skin for too long. Always ensure to wash off with water and pat dry using a soft cloth. People with sensitive skin should do a patch test before applying clove oil on their skin for eradicating acne. Test it out on your wrist or behind your ear before you apply it onto your face. If applying the oil leads to any skin complication, you should contact a dermatologist immediately. Clove oil doesn’t just banish that nasty cold, but it also treats acne and fades the scars that zits tend to leave behind. If you have an acne problem, clove oil is a must-have ingredient to complete your skincare arsenal. Have you ever used clove oil in your skincare routine? Tell us about your experience in the comments section below. Can Peppermint Oil Treat Acne? 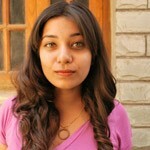 Is Argan Oil Effective To Treat Acne? Is Sesame Oil Good For Acne? Can Rosehip Oil Treat Acne?